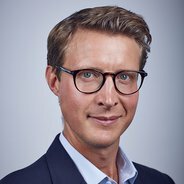 Matt Setchell, Head of Renewables at Octopus Investments, writes about securing a green future for generations to come. I always try to read a "business book" on holiday and this year was no exception‎. In the brief moments between building sandcastles with my two young daughters, I found time to read "The Switch" by Chris Goodall. It's well worth a read if you are interested in the future of energy. To massively oversimplify it, by the time my girls are old enough to not be interested in going on holiday with my wife and I, the world will generate most of its energy directly from the sun. This will happen much quicker than most people expect because pretty much everyone is spectacularly bad at predicting the pace of change in technology led by cost reductions ("I think there is a world market for maybe five computers," Thomas Watson, president of IBM, 1943). Therefore, whilst only a few years ago the majority of energy industry "experts" doubted solar power's role in global energy generation, now you have people like Nick Butler, the former head of strategy at BP, saying "advances along with falling costs promise to make solar the power source of choice in 21st century". Even if you don't believe earth needs to make the break from dirty fossil fuels, Goodall's analysis shows that the world would actually save money if we move to solar rather than keep digging up fuel and burning it. Therefore, as a head of Octopus's renewables investment team, The Switch plays to my heart and head. It makes a compelling case that supports what I believe is the right thing to do for the planet (a viable option to move to clean energy as quickly as possible), whilst also appealing to my rational investment mind. So where does Octopus Energy fit into this? We're passionate about supporting the transition to clean, renewable energy. My investment team do this by investing in renewable energy generation plants – lots of them. We're by far the largest investor in solar in the UK and complement this with wind and other renewables to generate enough green electricity to power around 640,000 homes. We believe that owning renewable energy assets is good for our investors looking for stable returns away from the volatility of equity markets, whilst also providing a better return than leaving cash in the bank or with the UK Government. Therefore, we're fortunate to be able to deliver what our investors want whilst also making a positive difference to our planet. This is only the start of the journey – which is good as we never sit still for long at Octopus. The switch to solar is a massive, once in a century type, global trend that has a long way to go, with analysts suggesting another £33bn will be spent on solar installations globally in the next 4 years, and in the UK alone, another £12bn by 2030. Unfortunately, the sun isn't always shining (particularly here in the UK) nor the wind blowing and therefore, new technologies are required to complement this generation. This is why we are exploring how we integrate storage (essentially really big batteries) into our portfolio and investing in new technologies that help manage the ups and downs in electricity being generated by wind and solar (more about that in my next blog). Octopus Energy is unique in bringing together such a large portfolio of renewable energy assets with cutting edge technology. This enables us to offer our customers energy that comes directly from the sun, via our solar panels and into homes and businesses. This benefits our investors in the renewable generation assets and our customers who wish to buy "green" electricity. I'm therefore determined that we play our part in supporting the "switch". My goal is that in 20 years time, when building sandcastles with my daughters is a distant memory, at least I can say that we've played a role in leaving a better legacy for them, and along the way we've delivered what we said we would for our customers and investors in our funds.